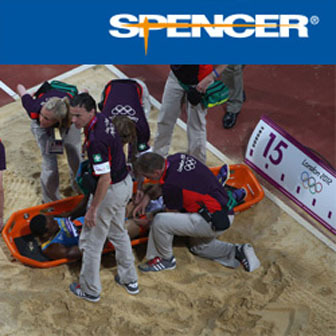 In 2004 the Ambulance Service Association (ASA) and the Department of Health asked the ASA Civil Contingencies Committee to look into the feasibility of ambulance personnel joining other emergency personnel to work within the inner cordon (also known as ‘the hot zone’) of a major hazardous incident. Traditionally the Ambulance Service had always operated within the ‘cold zone’, areas where contamination was not present and the area was deemed to be a safe working environment. 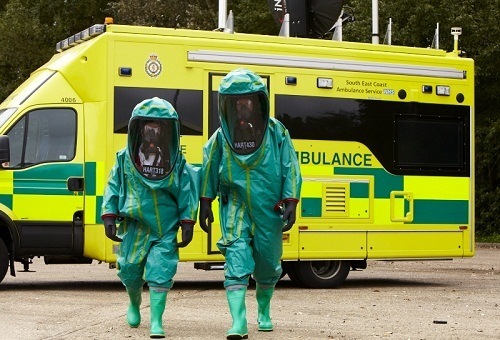 Various major incidents in recent years, alongside the increasing threat of a chemical, biological, radiological or nuclear occurrence resulted in ambulance staff being trained and equipped to work within a ‘warm zone’ environment, in order to provide decontamination to casualties and emergency services workers under medical supervision. In January 2005, experts in mainstream ambulance services, clinicians and specialists in the CBRN field acknowledged that not being able to operate in the ‘hot zone’ (inner cordon) of a major incident meant that the ambulance service was potentially being impeded in its ability to undertake the clinical interventions necessary to preserve life at the early stages of a CBRN/HAZMAT incident. Subsequent experience from the terrorist bombings in London on 7th July 2005 also proved that being able to work in the centre of these scenes, when there was no contamination present, meant that many lives were saved that would otherwise have been lost. As a result, the decision was taken to explore the possibility of being able to train and equip personnel who would be able to work safely in such environments even when there are contaminants or other serious hazards present (whether caused deliberately or accidentally). This resulted in the beginnings of the HART programme. The Department of Health was later approached by the Fire Service with a request to consider training paramedics to work in the Urban Search and Rescue (USAR) environment, alongside their own personnel. The decision was subsequently made, during 2006, to add a USAR capability to the HART project. In time it is anticipated that other specialist roles, such as the Maritime Incident Response Group (MIRG), which has resulted from the ‘Sea of Change’ project, will also be incorporated into HART. HART-IRU is being evaluated within London Ambulance Service and HART-USAR is being evaluated in Yorkshire Ambulance Service. The plan is to establish additional HART units in the North West and the West Midlands in the first phase of the roll-out across England, with others to follow soon after.